Gamers were surprised for a limited time when they discovered that 'Fortnite' was allowing cross-platform play for Xbox One and PS4 players. Console gaming is a genre which constantly evolves. However, even with all of these changes, console gamers have yet to get one very basic feature that they have been requesting for years. PS4 and Xbox One players have requested both Microsoft and Sony to allow cross-platform play in terms of multiplayer games. However, recently a game called 'Fortnite' was seen supporting crossplay across Xbox One and PS4, which led many fans to believe that the crossplay was finally being launched. What led to the crossplay discovery? This past weekend, 'Fortnite' players noticed something quite strange. The game was suddenly allowing PS4 players to engage in the game with Xbox One gamers. One PlayStation gamer, named PRE_-CISION-_ first noticed this change. While playing the game, the player noticed that he was playing with another gamer who had spaces in his username. The PlayStation Network does not allow the use of spaces in usernames. At first it was believed that the gamer in question was playing on his PC. 'Fortnite' does allow crossplay between PS4 and PC. 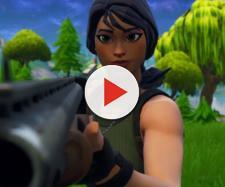 However, Reddit and NeoGAF users pursued the investigation further and determined that there was no player with the same username on 'Fortnite' Epic Launcher, which is used for the game on the PC. This indicated that the player was using an Xbox One console. Once this information went public, many other users also shared their experiences of cross-platform play between the PS4 and Xbox One for 'Fortnite'. One user even claimed that he was playing the game with his child across the two systems. However, this crossplay was not a deliberate addition as the developers confirmed later. What did the developers say? Epic Games, the developers of 'Fortnite' revealed that the crossplay feature had indeed started working on the game for a limited period of time. However, the studio confirmed that this was not intentional and was due to an internal error. Since then. The crossplay bug in the game has since been fixed and players can no longer engage in cross-platform gaming. This episode reveals how simple it would be to integrate the cross-platform play functionality across the Xbox One and PS4. However, it is still disappointing to know that such a feature is not being unveiled officially. Apparently, Microsoft has shown interest in the feature and even held talks with Sony. However, the latter is resolute on its decision and says that it will not allow cross-platform play. Sony has hinted that cross-platform play will likely pose a security threat to all PSN account holders, which is why the company does not want the feature to roll out.